With more breweries per capita than any other Australian state, Tasmania’s local beer scene looks to be going from strength to strength. It’s perhaps only to be expected given the state is home to one of the world’s leading hop growing regions and has an abundance of locally grown grains just waiting to be malted and turned into beer too. New breweries are regularly popping up across the state, from those located on small farms to those in quiet towns. 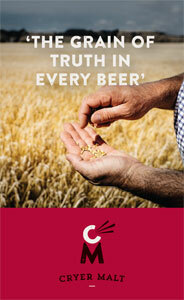 And these days the state’s capital, not too long ago home only to Cascade, boasts plenty of local producers too. Indeed, Hobart has enough breweries to easily turn an afternoon walk across the city into a tour of breweries instead. 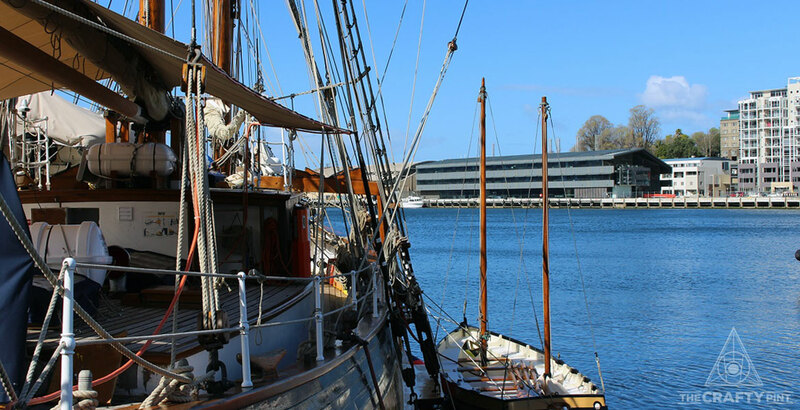 If you are interested in checking out Hobart’s craftiest venues, we’ve got that guide here. This time around, however, it’s all about drinking the beer at source. As the city’s eponymous brewery and one that sits by its scenic waterfront, Hobart Brewing Co feels like the ideal place to start. It can be found in the historic and industrial Macquarie Point with the brewery and taproom creating a home inside an old warehouse called the Red Shed. 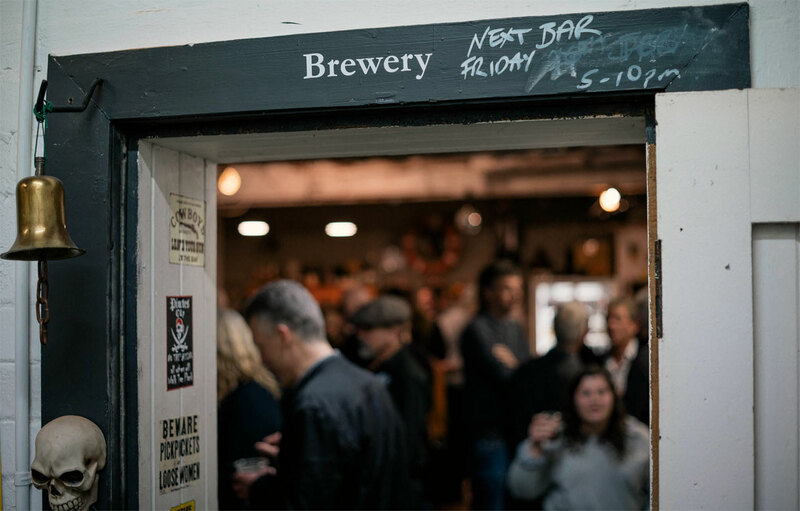 It’s a rustic, expansive old building that feels more like a farmhouse than a spot on Hobart’s wharfs but it’s also the ideal place to try the Hobart Brewing range of beers. At any time the taps are filled with the brewery’s core range and seasonal releases; arguably the best time to enjoy any of them is as the evening sets in. The beer garden – if you can call it that, it’s huge – features large fire pits, regular food trucks and live music. Look out for special events throughout the year too. Hobart Brewing can be found at 16 Evans Street. It’s quite the hike between Hobart Brewing and Shambles to start this Crawl but, once you arrive, you’ll agree it’s worth the effort for two key reasons. For one, the views you’ll take in while wandering along the waterside are particularly fantastic; secondly, and more importantly for beer fans, once you arrive at Shambles you’ll hit the start of a ménage à trois of breweries within a few hundred metres of each other. 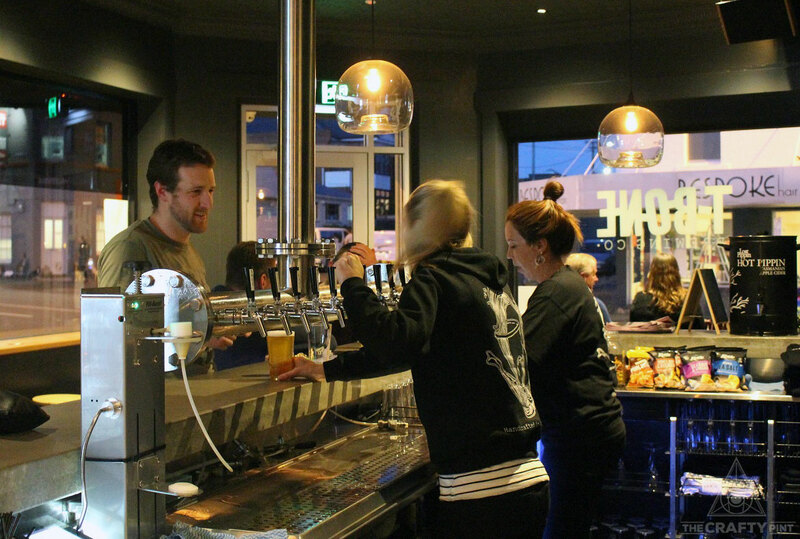 Shambles first opened at the start of 2016 and has managed to become the sort of brewpub that effortlessly proves combining good beer with good hospitality equals good times. The front bar’s roaring fire, share tables and log-lined walls all create a homely, intimate bar in which to enjoy the brewery’s beers. 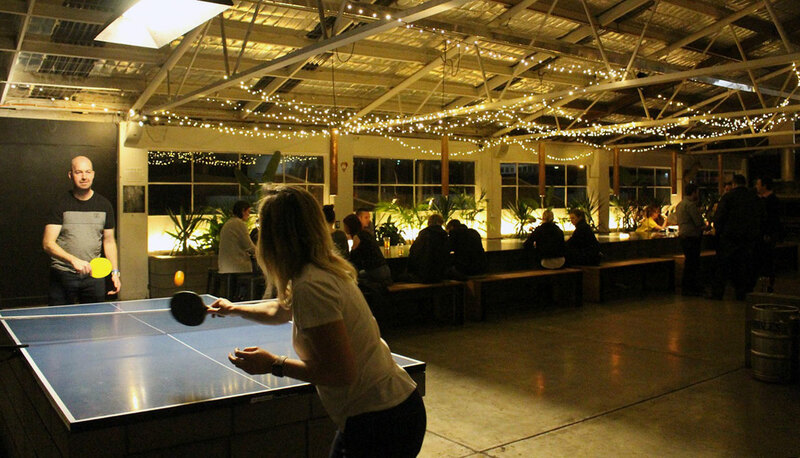 The beer hall located at the back is a cavernous space, where the besser blocks, carefully placed kegs, rudimentary ping pong table and the brewery itself all meld together seamlessly to create an inviting warehouse experience. If, at this stage, you feel it’s time for a meal with your beer, Shambles’ burgers and sharing plates make for a worthy option. Or, if you think it’s time to head home, from the second half of 2018, the brewery has been canning too so you can take some beers with you. Shambles is located at 222 Elizabeth Street. You'll need to rely on planning – or good luck – to manage a stop at Captain Bligh's if you’re visiting from out of town as it tends to only open one Friday each month. Should you be there for such a Friday, you'll find it occupying a series of vaguely connected rooms inside the Tasmanian Brewery Building, a large and striking heritage building just around the corner from Shambles. It started out as Punshon's Brewery in the 1830s, becoming the James Tasmanian Pale Ale Brewery, then The Adams Brewery and finally the Co-Operative Brewery. Founder Steve Brooks used to work at Bendigo's Rifle Brigade Brewery in the 1980s and returned to his passion for beer a few years ago. The beers celebrate both history and Tasmania but the best way to enjoy them is within earshot of Steve; he's quite the raconteur. Captain Bligh's is at 64 Warwick Street. Back onto the good beer thoroughfare that is Elizabeth Street and you’ll soon find yourself at your next destination: T-Bone Brewing. Tom and Carla Bignell opened the doors to T-Bone a few months after Shambles, although T-Bone beers have been around a little longer, originally brewed in a shed at Tom’s dad’s booze operation, Belgrove Distillery. 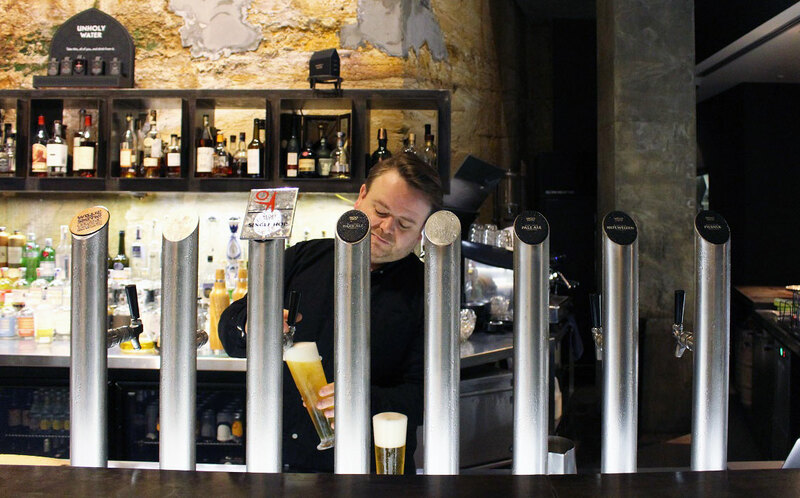 At the brewpub, you’ll find ten taps pouring beers from a brewhouse that sits just a few metres away; beer doesn’t come much fresher than that... The T-Bone beers range from a more accessible core range to regular limited releases that often involve local fruit, hops or make use of some of Tom’s old man’s whisky barrels. The brewery also manages to fit regular live music and arcade machines into its small corner of Elizabeth Street and occasionally hosts parties that take over the streets too. T-Bone’s home is at 308 Elizabeth Street. Last Rites cans from the fridge at Boodle Beasley, one of the best places in Hobart to find a range of local beer. If you head just a few kilometres outside the CBD in a few directions, you'll find more small breweries. And you can also hunt down beers from Hobart based brewing companies on tap at the city's best beer venues or in the fridges of its bottleshops. Located in Cambridge, on the other side of the River Derwent to all the previous breweries, if you want to include Last Rites on your brewery tour of Hobart, you do need to plan ahead as it only opens to the public on Friday and Saturday afternoons. But those who fail to plan plan to fail and if you're spending time in Hobart and were to miss out on visiting Last Rites then that would indeed be a fail. The brewery may be a production-based operation but that doesn’t make it any less of fun place to drink, particularly on Fridays as those finishing he working week file into the industrial estate. Each week, different food trucks park by the front door as eager beer fans park themselves by the stainless steel to try out the latest from Last Rites. You can find Last Rites at 3/18 Kennedy Drive, Cambridge. The northern suburbs of Hobart are traditionally the tough end of town, but since museum and art gallery MONA crash-landed there, things have been taking off. Since 2016, Fox Friday has been brewing in the area in Moonah (a suburb with a confusingly similar name). 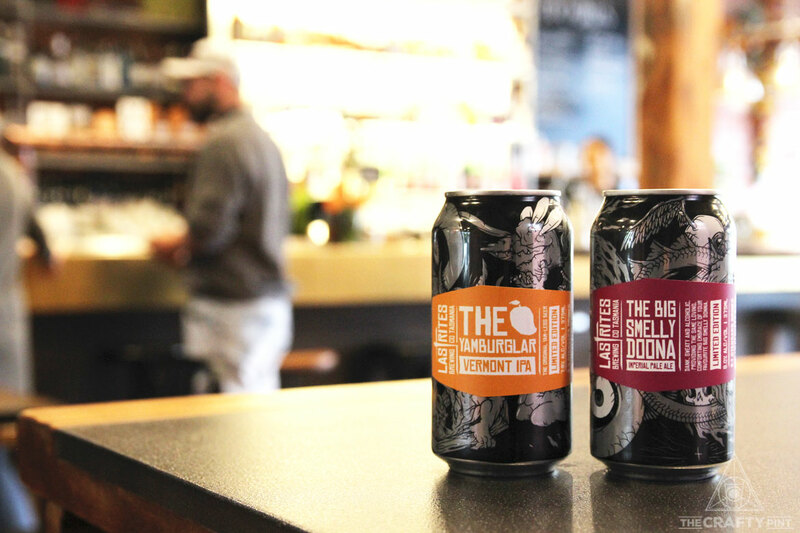 They’ve launched a handful of ales with alliterative titles, such as their popular Bangarang Brown and Bombshell Blonde Ale. Their cellar door is open on the Moonah’s main drag on Thursdays (5pm to 7pm) and Fridays (3.30pm to 8.30pm). As well as their popular titles, you can have a crack at their small-batch "prototype" series, only available at the cellar door. That said, it's a bit of a "watch this space" situation as the brewery and brand were put up for sale in November 2018. Fox Friday is found at u6/14A Main Road, Moonah. Pouring Moo Brew beers in the belly of the beast that is MONA. While Moo’s brewery might be located a bit further up the road, MONA is still something of a spiritual home for the brewery, with multiple bars across the expansive brewery pouring Moo beers. Also, you get to enjoy them in one of the world's most impressive and outrageous art-filled spaces. The Museum of Old and New Art is at 655 Main Road, Berriedale. 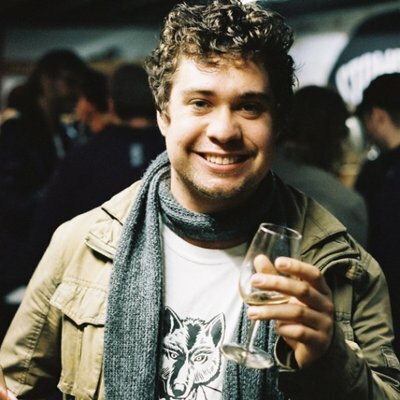 The Winston is one of Hobart’s true champions of good beer, having been taken over by Kris and Caroline Miles back in 2013. Since 2016, the couple have also run Winston Brewing Co and, while the brewery currently isn’t open to the public, if you head to The Winston itself, you’ll always find some of their typically hop forward and US-inspired beers pouring. Spotty Dog is a Hobart-based gypsy brewing operation that brews out of Last Rites. 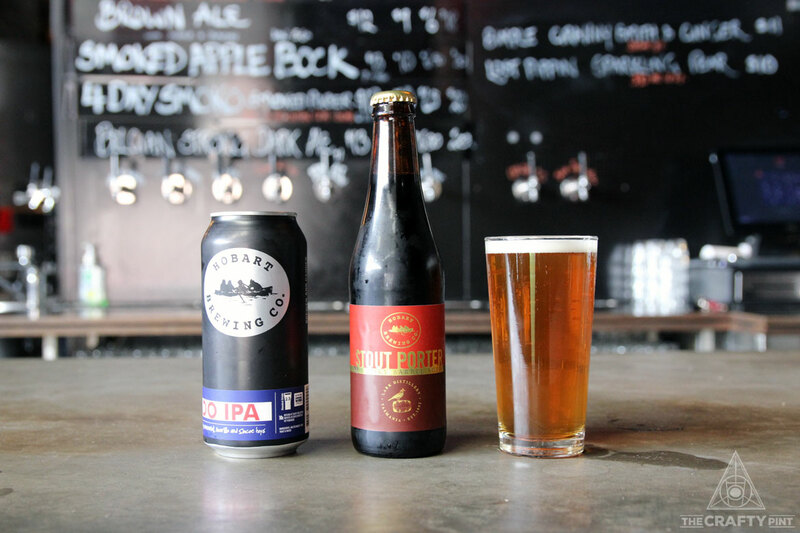 Its Portland Pale and West Coast IPA have appeared in past Crafty Pint Best New Beers lists and you don't have to look too hard to find Klimt Donohoe's beers in Hobart’s bars and pubs and in tinnies throughout the city’s good beer bottleshops. Photo of Captain Bligh's taken from the brewery's Facebook page. Who Brews Captain Bligh's Colonial Ale?